The 2 men were polite and everything was cleaned up every time they left. They were with us for about two weeks and things went very smoothly. A very professional job. Have already recommended them. Thank you David for both your comments about the work, which will be passed on to the team, and for the recommendation. Took longer than expected, but well worth the wait. Great attention to detail, and nothing too much trouble. Thank you Martin. We pride ourselves in our workmanship and attention to detail. We are here to help you make your bathroom special and endeavour to give you exactly what you want, even if it means the job takes a little longer. Would highly recommend Ashley and his team. Our bathroom is amazing and is the 3rd project we have done by Wilton Studios and have been very pleased with design, quality of materials, workmanship. When have said it will take three weeks, it has been three weeks. Also all the people involved have been pleasant to deal with. Thank you for your kind words Jennifer. It has been a pleasure to work with you and help to create the perfect bathrooms and cloakroom for you. Remember, we're always here and happy to help. Arrived on time, clean and respectful workers. Really pleased with my beautiful bathroom, they finished in good time. Thank you Marian. We're glad you're pleased with the end result. It's good to hear about the fitting teams, and rest assured we have passed your comments on to them too. Wilton Studios have absolutely excelled. I cannot recommend them highly enough. I had to postpone my tiling three times due to delays in my house build. This was no problem to Ashley who reassured me all of the way. 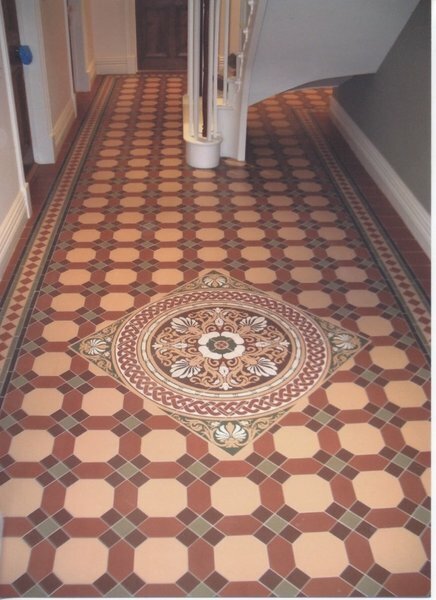 The tiling was superb. Thank you for your kind words Jackie. We always try to accommodate all of our customers where possible. Thank you for allowing us to help in creating your stunning new home. We contacted Wilton Studios to extend and renew our family bathroom. They were extremely helpful and obliging. They produced a 3D design which we discussed until happy with the detail. During the work, they always consulted regarding any minor issues so we could mutually resolve these. They also suggested improvements as they came up. Workmanship was outstanding with attention to detail making a good job into an excellent job. Thank you Ash, Gemma, Dan and team! Thank you Carl. It has been a pleasure working with you to create two fantastic rooms already. Rest assured your kind words have been passed on the team, who are all looking forward to working with you again in the new year. 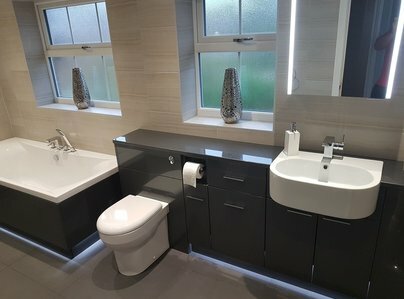 We wanted to see an attractive choice of bathroom furniture/work tops coupled with good quality sanitary ware, with suitable wall and floor tiles. Initially we had an in depth home visit to survey our requirements, which was followed by us attending the showroom to discuss the designs and fixtures/fittings. Wilton Studios always gave us a warm welcome and spent a considerable amount of time helping us with the appropriate costings on the chosen refurbishment and specifications. 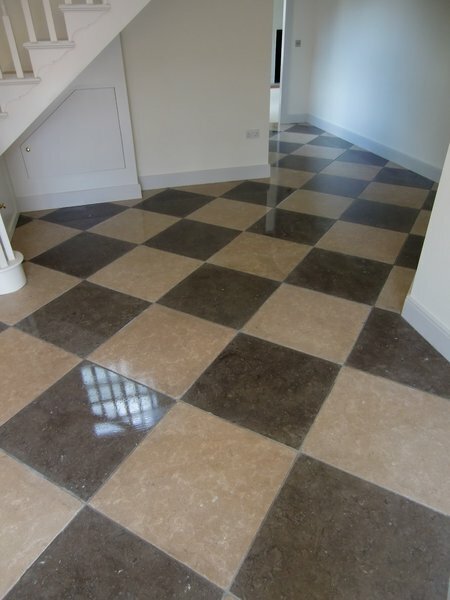 During the installation their team were a pleasure to deal with and conducted themselves in a professional fashion and made sure everything was left clean and tidy at the end of each day The end result was most satisfactory and exceeded all our expectations. Thank you for your kind words. The home visits help us get a feel for your home and, along with measurements, help us in the design process to create the rooms for you. We like to ensure that you get what you want in your home and that's why we are happy to spend as much as time with you in the showroom as is needed! 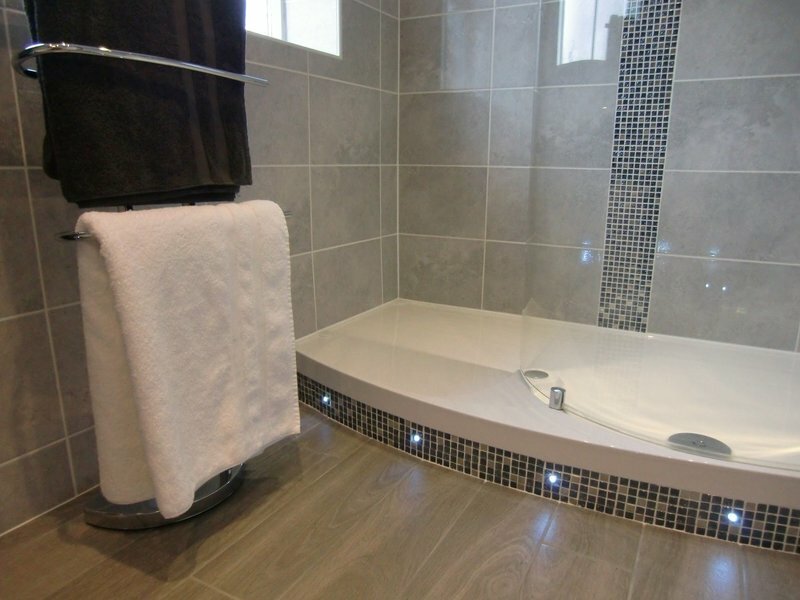 We were very pleased with refurbishment on bathroom very professional workers and friendly. I would recommend them to anyone, and was most impressed by them. Thank you Ann. We are glad you're pleased with your new bathroom and appreciate the comments and recommendation.